Monica M. Gamblin is a leading financial professional specializing in helping women work towards achieving financial security and independence. She began her career in the financial services industry in 2005 with a regional brokerage firm. She formed The Gamblin Group in 2011 and continues to serve hundreds of families in Saint Louis County. Monica has an in-depth and unique perspective on the financial needs of a variety of women. She is able to achieve her mission of helping women of all types work toward achieving financial security and independence by helping them develop individual retirement solutions, asset protection, and wealth transfer strategies. She graduated from the University of Missouri-Saint Louis with a Bachelor of Science in Economics and she has completed her graduate work at Washington University in Saint Louis, Missouri with a Masters of Business Administration. Zabrina “Lady ZMG” Hamilton is an elementary school social worker and CEO/Author of ZMG Books. Zabrina’s passion is social change and mental health. Early in her career, Zabrina worked for AmeriCorps, where she was chosen as a delegate for then-President Bill Clinton at the President’s Summit. She has worked with Hopewell Center with the St. Louis Caring Communities Program, and St. Louis Crisis Nursery. She is a graduate of Sumner High School, where she graduated Class Vice-President and Valedictorian. She is a Saint Louis University graduate with a bachelor’s degree in social work. Zabrina has a Masters of Social Work from the University of Missouri – St. Louis. Zabrina is married & the oldest of two children. She enjoys traveling, spending time with family, and relaxing. She is a disciple of Friendship Baptist Church in East St. Louis, IL. Candace Jarrett is a technology customer relationship manager currently working in the IT profession in higher education. As a former full-time television news reporter, Candace is no stranger to standing up for what’s right in the face of resistance. She enjoys the thrill of bringing life-changing ideas to life for the benefit of the community. She’s a strategic thinker and strong communicator. She is a Missouri School of Journalism graduate, and has extensive experience in journalism, content creation, community outreach, public involvement and public relations with organizations such as NASA, the Saint Louis Science Center, Mayo Clinic, Florida Medicaid, Duval County Public Schools, VISIT FLORIDA, AOL Media, Gannett, Cox Media, Saint Louis County Government, Thomas Media Group, Black Expo South, SC Black Pages, Florida Black Pages, and Washington University in St. Louis. Juana Love is a Financial Advisor specializing in retirement planning and generational wealth management for both individuals and business owners. She is also an Executive and Career Transition Coach who serves women that are transitioning into new leadership roles, major career changes or retirement. Her executive management background and proven expertise in building, reorganizing and revitalizing business units and organizational infrastructure fuels her passion for sharing her corporate knowledge and experience through community involvement and civic pursuits. Juana holds a bachelor’s degree from the University of Illinois, Urbana-Champaign, and an MBA, from Webster University. She completed her executive coaching and professional coaching training through the University of Texas at Dallas. Dr. Melaney Littleton- Phillips owns Littleton Chiropractic Clinic. She has received numerous awards for serving as a leader in various aspects of the community. She continues to promote health and wellness awareness throughout the St. Louis region. Native to Mound Bayou, MS, Littleton-Phillips holds a Bachelor of Science degree from Mississippi Valley State University, as well as a Doctorate of Chiropractic from Logan University, She was the first African-American to win the Student Doctorate Award at Logan University. Kenneth Woods is a Masters Level Therapist and licensed clinical social worker with 32 years of experience in mental health settings. He has a proven track record working with diverse populations in private practice, health care, and outpatient treatment settings in the state of Missouri. Woods has a strong background in the treatment of children, adults, and families utilizing psychotherapy, as well as excellent clinical treatment skills and the ability to promote mental health services. He is currently a school guidance counselor and crisis care coordinator in the Hazelwood School District. Sherece Whitehorn is a human services and patient billing specialist especially adept at providing social service support to a variety of diverse populations. 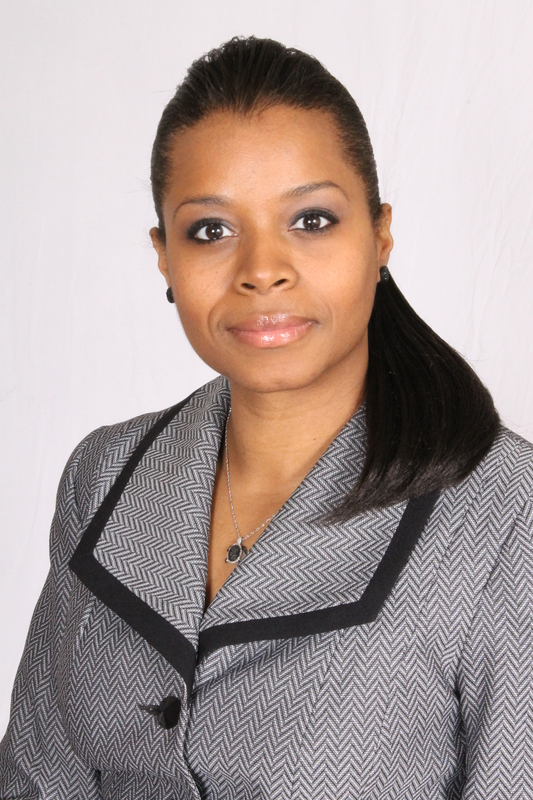 She specializes in advocacy and facilitating the exchange of complicated insurance policies to her clients. Her background includes crisis intervention, entitlement and rehabilitative services education, mental illness and substance use disorder education, and crisis intervention strategy planning.